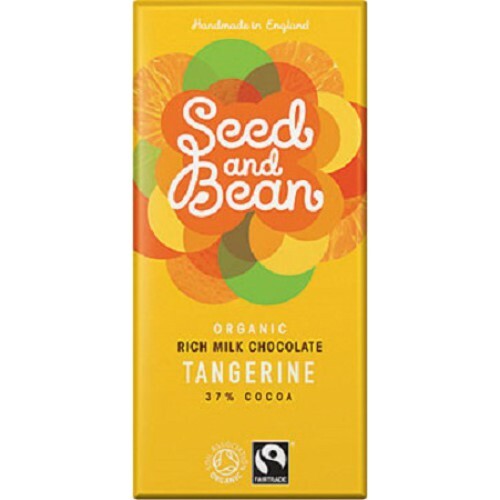 Seed and Bean is all about nature and creativity; contemporary, natural flavours, blended with pure cocoa beans into kaleidoscopic moments of pleasure. Orange is so yesterday! We think that this sweet yet tangy Brazilian tangerine oil works perfectly with a full flavoured creamy chocolate, providing a more uplifting version of the classic chocolate/citrus combination. 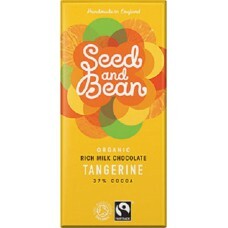 Seed & Bean are the UK's only chocolate company to receive a 100% ethical pass mark accreditation. Cane sugar*, cocoa butter*, whole milk powder*, cocoa mass*, vanilla extract*, tangerine oil*<1%, emulsifier:soy lecithin*.  *Organically Certified. Cocoa mass, cane sugar, cocoa butter, vanilla extract: traded in compliance with Fairtrade Standards, total 76.5%.